SMN’s always been in awe of those model makers who create hyper-real miniatures using the metal foil technique. Done well, it’s a way of transforming a plain ol’ plastic model into something else again. So here’s a link to a fascinating blog article by modelmaker Ken Friend. It’s packed with useful information and detailed knowledge should help you with techniques for a good finish. Note that Ken’s info is on the fascinating Old Model Kits site that specializes in exactly what it says - it’s a jaw-dropping treasure trove of desirable goodies from past times. There are too many OMK items to list here, though one fave at SMN is the 1:72 scale Revell Fokker E.III kit featuring art by ace British artist Brian Knight. This was one of a UK-only range, and Knight’s superb work was its main draw for this modelmaker at the time. 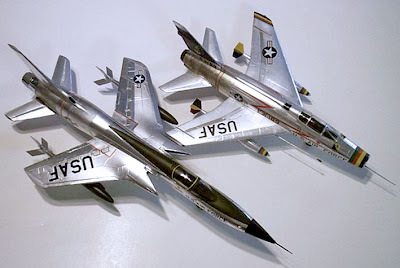 Visit Ken Friend’s article on foiling at Old Model Kits here. 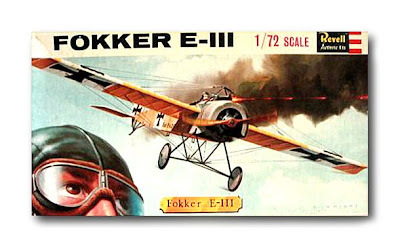 Visit the Revell E.III at OMK here.